Well, you know how Jean Paul Gaultier is all about the show, the spectacularly intricate, opulent and almost weird outfits. 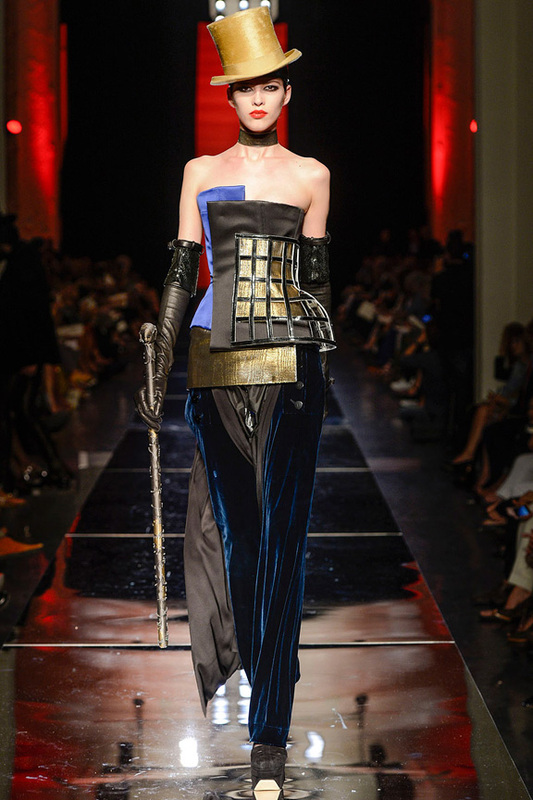 The haute couture fall / winter Jean Paul Gaultier collection is among those lines. There are the three top outfits on our list, but check out the runway show down the page. There's a lot more to satisfy your thirst for fashion.